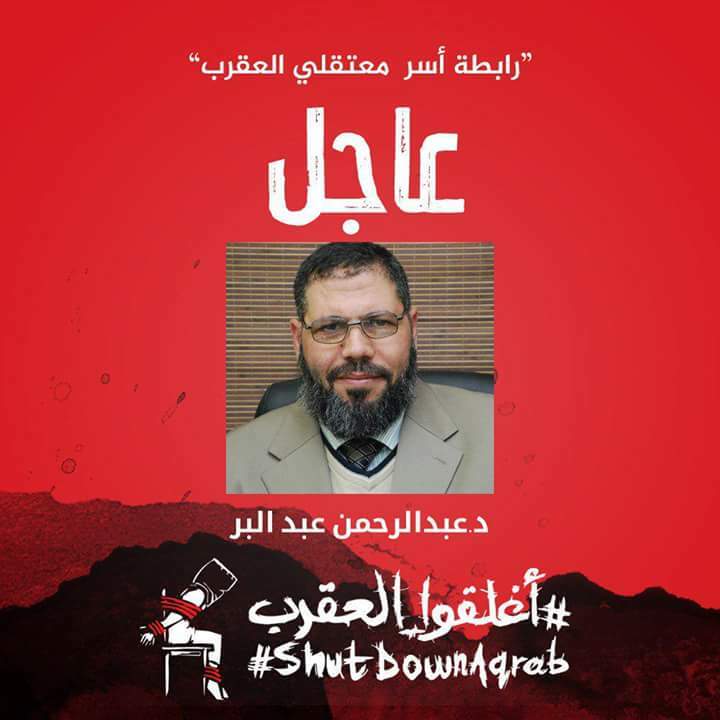 Dr. Abdulrahman Abdulhameed Al-Barr: A leading Islamic scholar on hunger strike in Al Aqrab prison. -He's 53 years old, married with five children. -Professor of Science of Hadeeth (Prophetic Tradition) at Al-Azhar University, after the revolution he was elected to be the dean of the faculty of Usool Al-Deen and Da'wah ( Foundation of the Islamic Religion) at Al-Azhar University, El-Mansoura Branch. -Member of the International Union of Muslim Scholars. -President of the International Coalition for the Support of Al-Quds and Palestine. -Member of the Al-Azhar Scholars. -Member scholar in one of the oldest and largest Islamic charity societies in Egypt, Al Jameyya Al Shareeya. 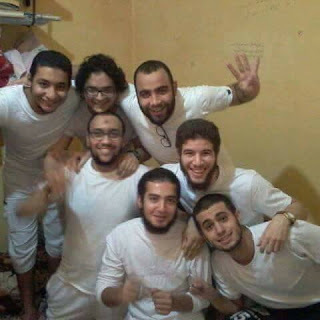 -He was arrested by the military coup forces on June 1, 2015, and he was forcibly disappeared for 22 days, during which neither his family nor his lawyers knew anything about his situation or whereabouts. After that he appeared in the prosecutor's office in Cairo, and he was transferred to the maximum security Scorpion Prison. He was placed in a solitary cell at the Scorpion Prison, and was denied the simplest rights accorded by law to anyone whose freedom is curtailed. The prison administration is conducting an intentional program of extermination in what activists and families of prisoners called: "the Scorpion Cemetery." Visits by relatives and lawyers are denied to prisoners there for long periods, personal belongings allowed by law - such as clothes, bed covers, paper, pens, and even toothbrushes or watches - are also denied. Even personal hygiene tools such as nail clippers and shavers are not allowed, forcing them to share tools provided by the prison, which exposes them to diseases such as Hepatitis C.
Professor Al-Barr started an open hunger strike on May 3, 2016, protesting the stripping of the detainees' cells from everything that belongs to the detainees, and the prevention of any visits, food or medicines from the outside since April 21, 2016. These actions stopped what little food detainees depended on to avoid prison food, which was poor in quality, in addition to infecting some detainees with intestinal diseases, or causing cases of food poisoning.